Here at Greenhouse Fabrics, we decided to conduct a study of our own, in order to test the STRENGTH, DURABILITY, and CLEANABILITY of Bella Dura’s Outdoor Canvas. We found that in fact, it is "as beautiful as it is durable". 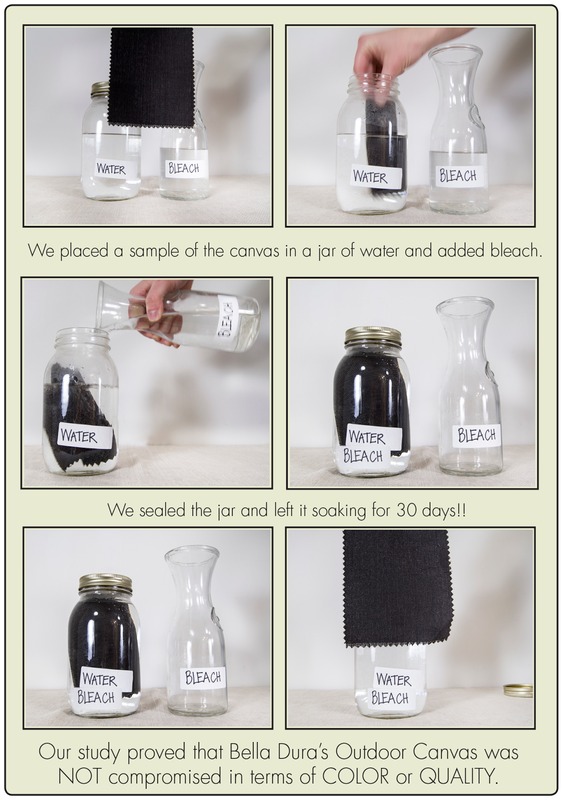 The canvas was not compromised in terms of color or quality after 30 days in the bleach solution.